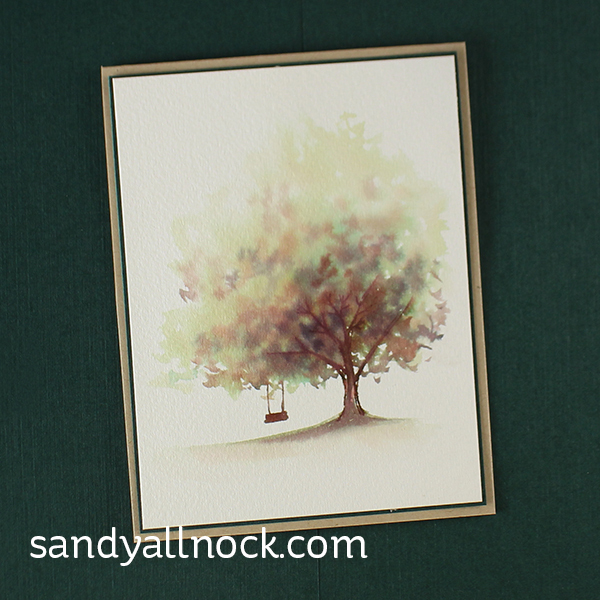 Nothing says lazy summer day like a big, shady oak tree with a swing, right? 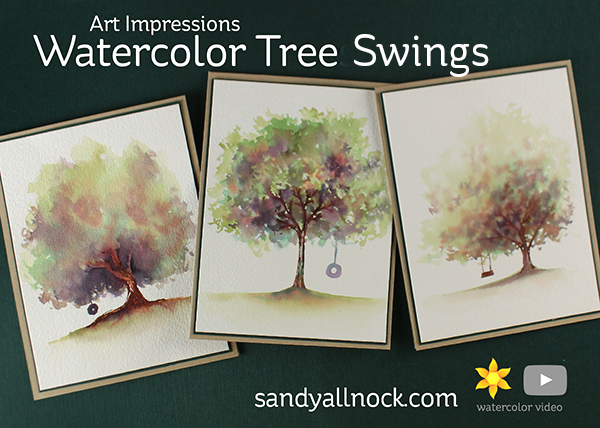 Use the AI watercolor tree trunks, then create beautiful leaves to sit beneath! Watch the video below or click HERE to see it in HD on YouTube. The first tree is lacy and mixes a lot of distinct colors. Another tree is looser with only a few areas of hard edges. And finally, a soft tree that focuses attention on the shade and the swing by letting the top edge fade out! 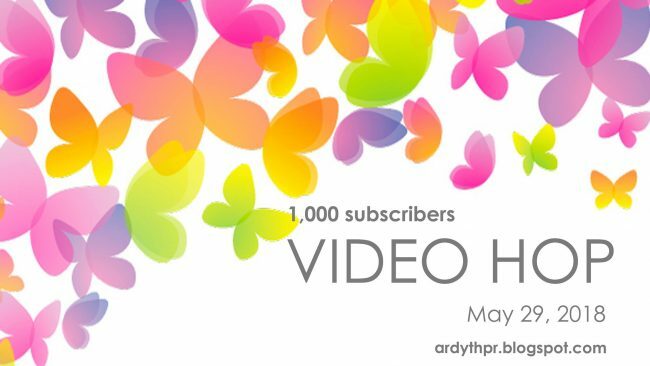 Today we’re hopping to celebrate Ardyth reaching 1000 YouTube subscribers this month. After you’ve finished watching my video, please leave a comment ON YOU TUBE for your chance to win, and then click on the link in the video description below the video for the next person in the hop. Next video in the hop is Justine! If you get lost along the way, go to Ardyth’s blog for the full list of particpants. All prizes will be announced on Monday, June,11 so you have until then to comment. Thansk for sharing this technique with us Sandy ! Just fabulous !!! I’m a fan !!!! 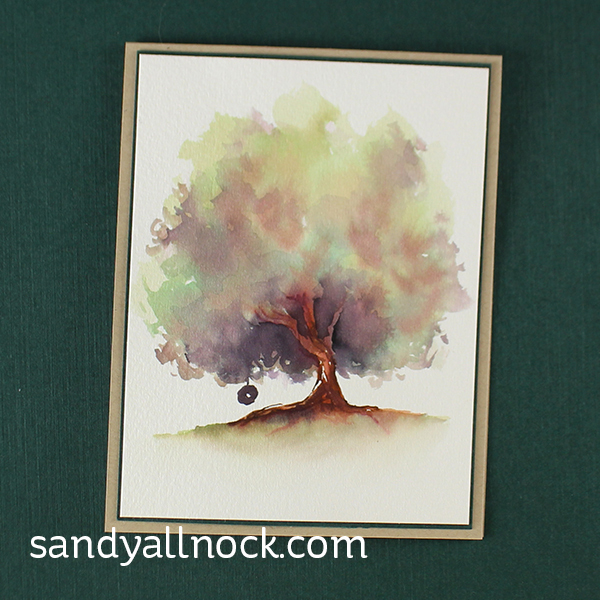 It was great to watch how the trees grow under your artistic hands, thank you Sandy. 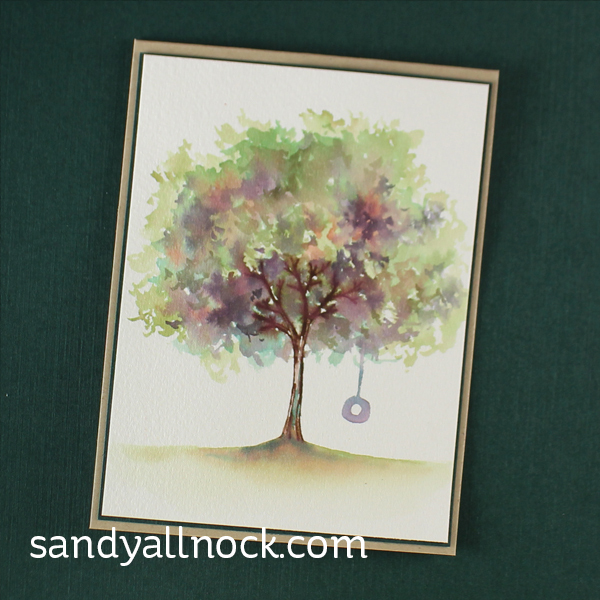 Love the beautiful trees with swings. You make it look so easy! Thank you. I love your Blog, I love the way you done the swing trees, pretty colors. I learn such wonderful techniques from watching your videos, Sandy. Thank you! You always inspire me! I just love these trees, and am of to watch the rest of the hop, then paint some trees! Thank you for the best inspiration! So beautiful. Thanks for the great tutorial. Your instructions are so clear, lets see if I can make it look that easy!! Great video! The swings give these trees a whimsical, relaxing touch. I’ll be giving this a try! Absolutely beautiful! I love trees and am always attempting to improve my painting skills with them. The swings are appealing at this time of the year and I will definitely be adding that feature! Sandy, watching, and listening, to you paint always make me think that I can do this too. Thank you for the inspiration. These are all so beautiful Sandy. I always learn something here! Thanks. I really enjoyed watching your video using the Art Impressions stamps. I purchased one small set and now I think I can give them a try! Thanks Sandy!